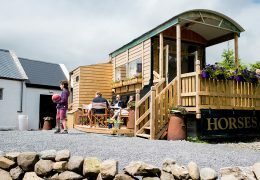 Experience the ultimate luxury hideaway, with it’s myriad botanical, archaeological and cultural treasures and with breathtaking views across Galway Bay and the visually enchanting and unique Burren limestone landscape. Owners Simon Haden and Frederieke McMurray manage this oasis of comfort together with their attentive staff. 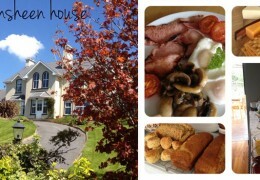 Irish hospitality, award winning innovative cooking using excellent local produce and total relaxation prevail. All bedrooms are individually and elegantly decorated and are indulgently free from the intrusion of televisions. A stylish mix of fine antique furniture and paintings together with a sprinkling of interesting modern Irish art adorn this graceful house. Welcoming turf fires, candlelight and generous jugs of garden flowers add to the relaxing atmosphere. 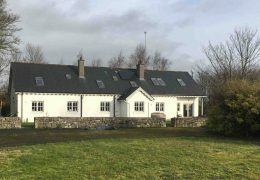 A mature garden, sensitively borrowed from the landscape and the surrounding bucolic setting, together with strong environmental ethics ensures a peaceful co-existence with nature. 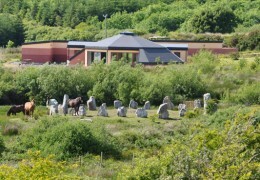 Corkscrew Bar; Art Gallery; Gardens; walking trail; bicycles and wellies for guests use; croquet; massage therapist; wi-fi internet; walking guide. Gregans Castle are Green Hospitality Silver Award since 2018.